Book your service today and let the professionals keep you on the road, so you are ready for the journey ahead. Peugeot Services are due dependent upon age, mileage, registration number and current mileage. This enables us to quote you correctly for what is truly required by looking at your engine type, vehicle age and how you use your van. We visually check your brake discs and pads every time your Peugeot comes to our workshop for servicing, MOT, repair, warranty or diagnostic work. On a service we also measure the actual thickness of the brake discs and pads, comparing that to the Peugeot minimum thickness standard, to advise you on the wear and replacement interval to keep you safe on the road. We also check the condition of your brake fluid and for any leaks from brake hoses, and the condition of the handbrake cables. Your vehicle timing belt (also known as the Cambelt) is a critical component that connects and controls the timing and operation of many engines major internal parts such as the camshaft, crankshaft and valves. The cambelt ensures that the camshaft and crankshaft rotate in time with each other, if they don't the result could be engine failure costing £1000's to repair. Peugeot recommends that when changing the cambelt you change the roller pulleys, tensioner and water pump at the same time to save you paying for all the parts and labour costs again should the water pump leak and need replacing at a later stage. 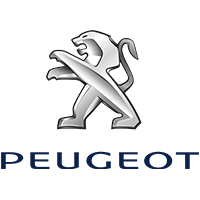 At Peugeot the MOT is part of our daily routine carried out using our Peugeot trained technicians, often while you wait, with access to our free WIFI, newspapers, tea and coffee. Why not get your van serviced at the same time and maintain the Main Dealer service history? Booking an MOT and Service together saves you time, inconvenience and gives you a total piece of mind for road-worthiness, safety reliability of your vehicle and could save you future repair costs..